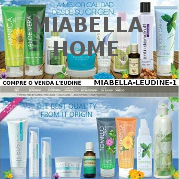 Provides feeling of freshness and cleanliness. Deodorizes feet and regulates perspiration. 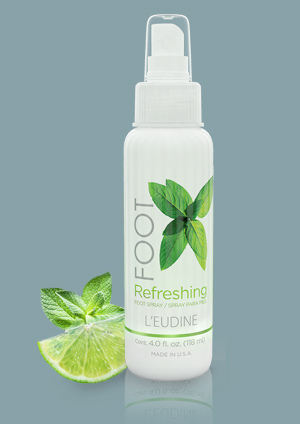 Refreshing Spray that provide freshness for active feet, countering odor, contains a high concentration of Menthol, which is known to increase circulation naturally as well as a stimulating mix of astringent essential oils including Tea Tree, Peppermint, Mint Viridis, Balm Mint Arvensis. Contains a natural deodorizing ingredient that controls odor, so that the feet are kept fresh and clean. 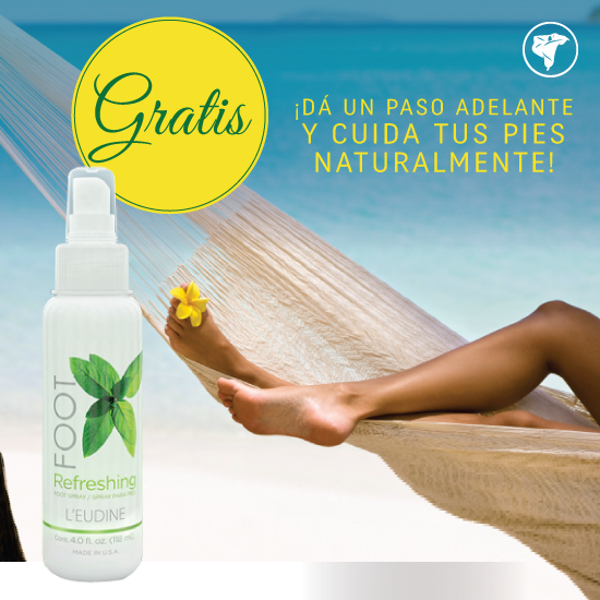 Refreshing Foot Spray from any angle limios and dry feet twice a day (morning and evening). Pay attention to the spaces between the fingers. We recommend using proper shoes and change shoes and socks at least once daily.